Compare the Cardigan Welsh Corgi to the Alaskan Klee Kai. Use the tool below to compare temperament, size, personality, maintenance requirements, and everything else between Cardigan Welsh Corgis and Alaskan Klee Kais. 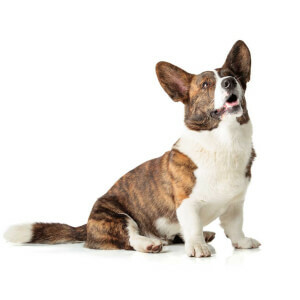 Owner Experience - The Cardigan Welsh Corgi is an excellent choice for new/inexperienced owners. The Alaskan Klee Kai is okay for new owners, but may not be as easy as the Cardigan Welsh Corgi. Children - Both breeds are child friendly, but the Cardigan Welsh Corgi is the most friendly between the breeds. Grooming - Both breeds have low maintenance coats, but the Alaskan Klee Kai is easier to groom. 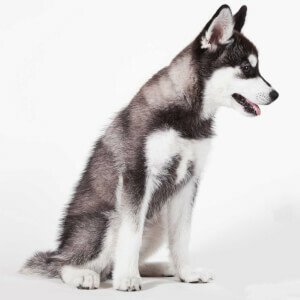 Barking - The Alaskan Klee Kai has an above-average tendency to bark, while the Cardigan Welsh Corgi is an average barker. Lifespan 12-14 yrs. 12-16 yrs. Height 10-12 in. 17-17 in.